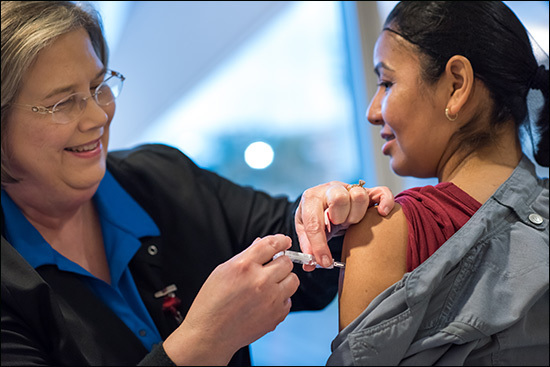 Heidi Allen rolled up the sleeve of her Kangaroo Crew uniform and looked stoically ahead as a nurse with Employee Health & Wellness gave her an annual flu vaccine. 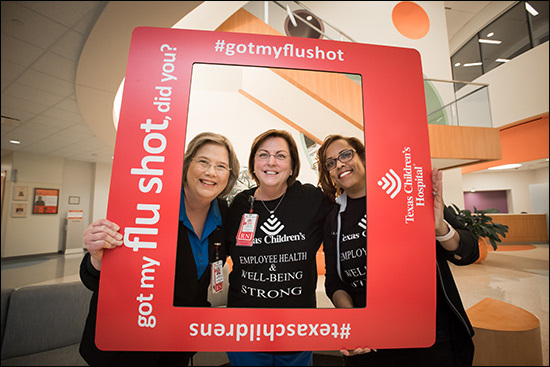 Allen, a respiratory therapist with the Pediatric Intensive Transport Team, said during one of Employee Health and Wellness’ recent flu vaccine events that she gets the flu shot every year to protect herself as well as her patients and their families. 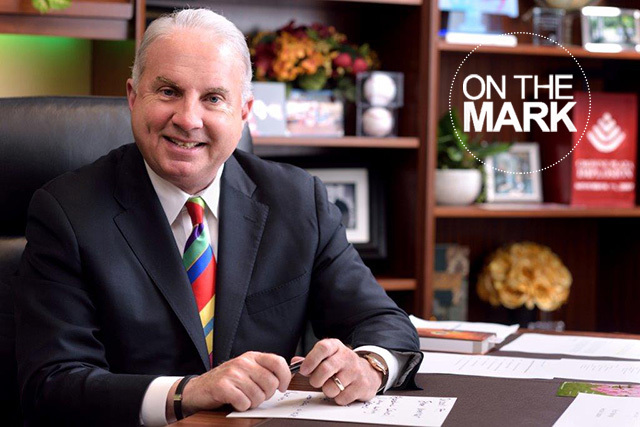 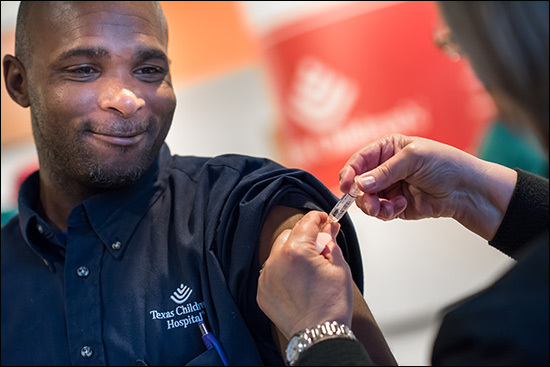 Allen is one of 8,395 Texas Children’s employees who have gotten their flu shot, bringing our vaccinated employee population to 60 percent. 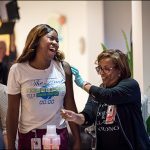 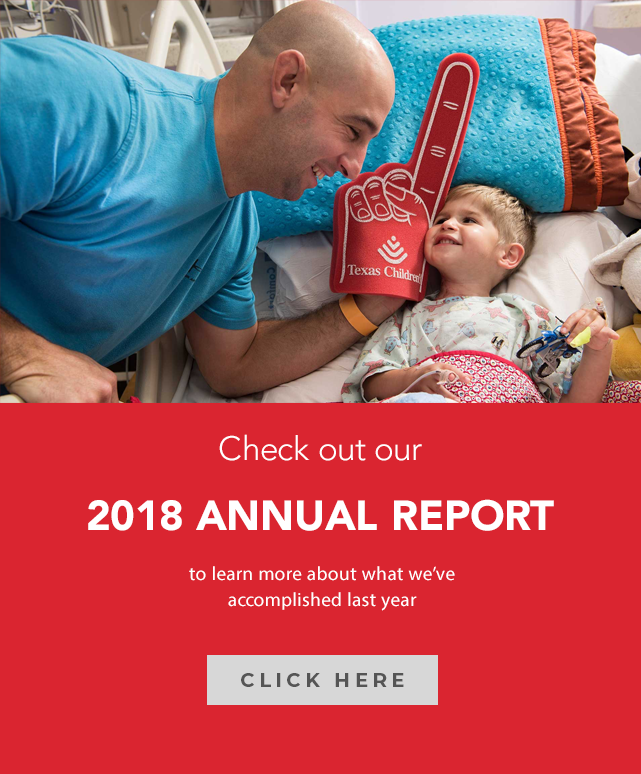 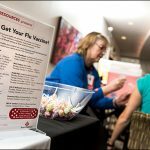 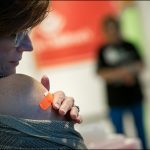 The remaining 40 percent of Texas Children’s employees are highly encouraged to get their free flu vaccine from Employee Health and Wellness at one of the remaining scheduled flu vaccine events or by contacting Employee Health and Wellness to schedule a time to come by the Employee Health Clinic to receive a shot. 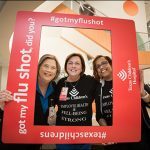 Employees who receive their flu vaccine by November 2, 2018, will be entered into a drawing to win one of 25 Nutri Ninja Pro Blenders. 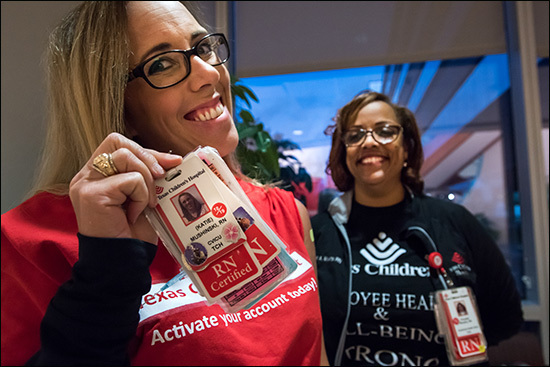 Employee Health will email winners at 3 p.m. on Wednesday, November 7. 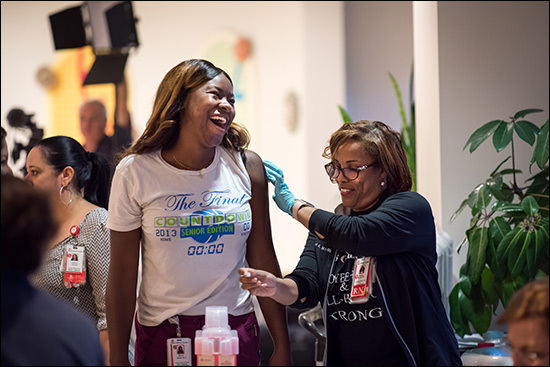 Each fall, Texas Children’s employees are asked to get vaccinated against the flu to not only protect themselves but to protect those around them – their coworkers, family, friends, and their patients. 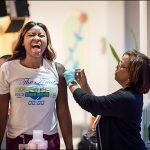 The Centers for Disease Control and Prevention (CDC) predicts this year’s flu season will begin in October. 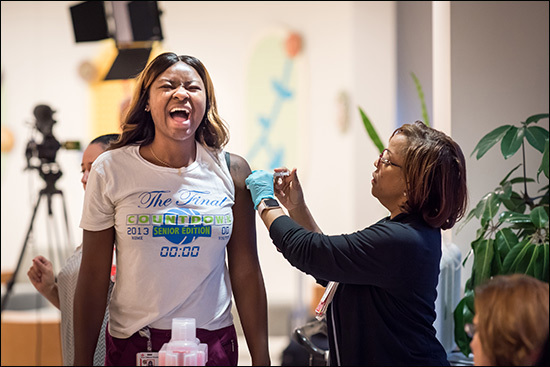 The CDC recommends a yearly flu vaccination as the first and most important step in protecting against the flu and its potentially serious complications. 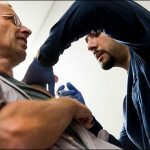 To learn more about the upcoming flu season, click here. 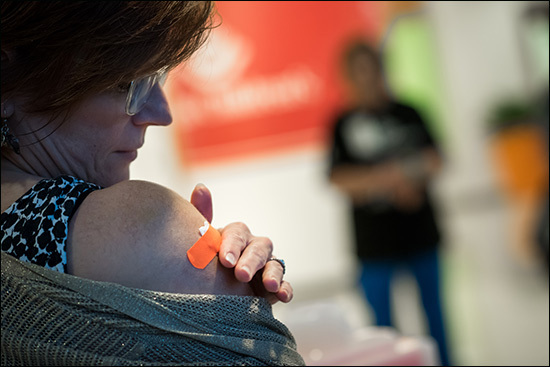 See photos of your colleagues getting their flu shots below. 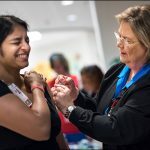 Employee Health will administer free flu vaccines to Texas Children’s employees, Baylor College of Medicine employees working at Texas Children’s facilities, Morrison, Crothall, or Compass contract employees and volunteers of Texas Children’s Hospital. 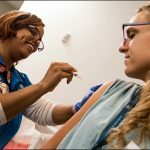 Employee Health will administer free flu vaccines to Texas Children’s employees, Baylor College of Medicine employees working at Texas Children’s facilities, Morrison, Crothall, or Compass contract employees and volunteers of Texas Children’s Hospital. 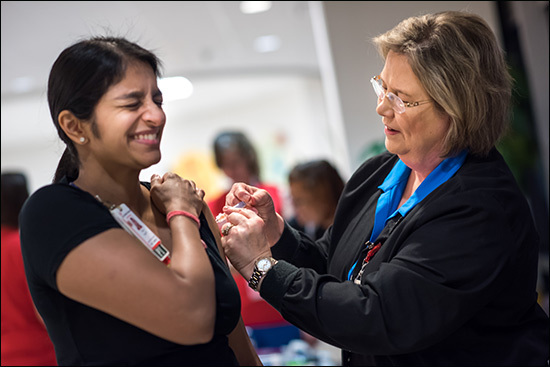 Upon vaccination at Texas Children’s, staff will receive a 2018-2019 flu season sticker to place on their badges. 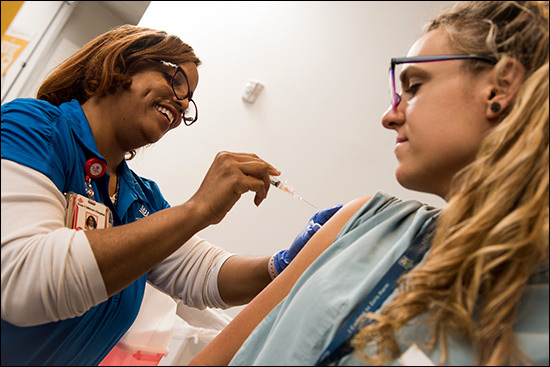 In order to protect our patients from exposure to influenza, employees who decline the flu vaccine for approved exemptions should wear a surgical mask when providing direct patient care services for the duration of the influenza season. 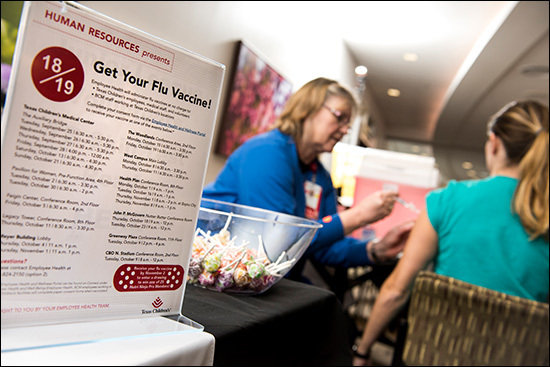 See In order to protect our patients from exposure to influenza, employees who decline the flu vaccine for approved exemptions should wear a surgical mask when providing direct patient care services for the duration of the influenza season. 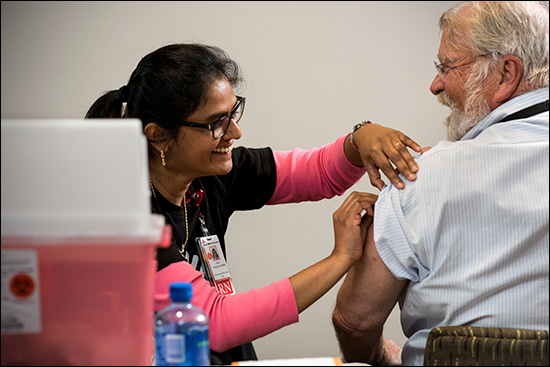 See Required Influenza Vaccination Policy and Procedure for more details. 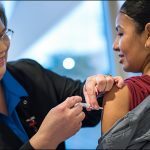 This process greatly reduced the wait times for flu vaccination last year, as well as eliminated the need to scan or fax the Flu Vaccine Consent Forms to Employee Health. 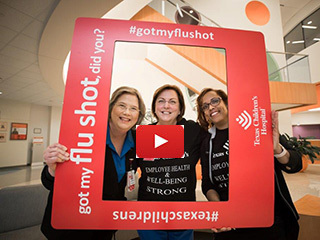 Click here to view a quick video tutorial on how to access the flu vaccine consent form online. 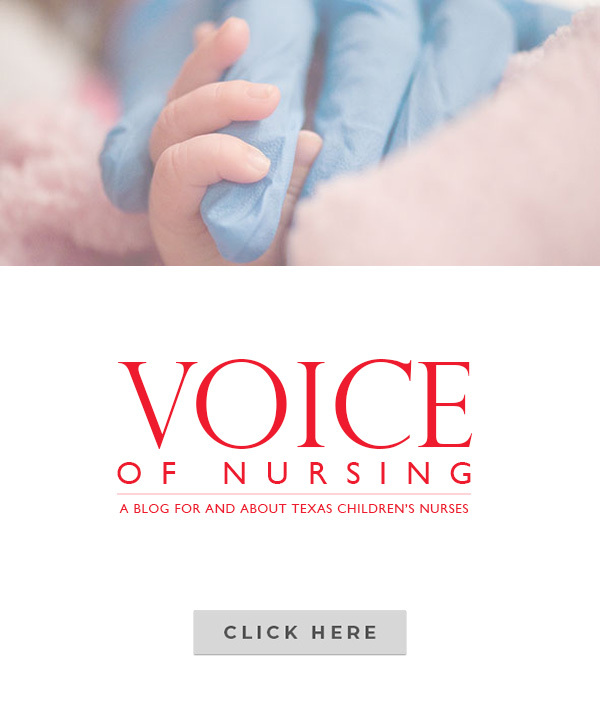 For instructions on how to log in to the portal click here or click here to view step-by step instructions. 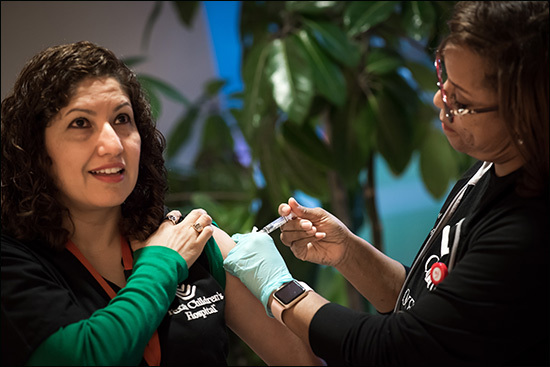 NEW PROCESS: Employees who receive their flu vaccine outside of Texas Children’s can easily submit their attestation and proof of vaccination via this online form. 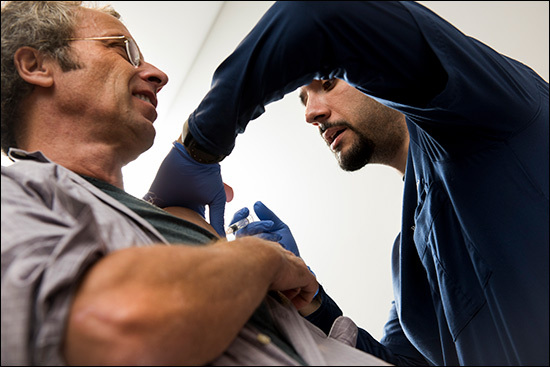 Employee Health will no longer accept proof of vaccination via fax or email. 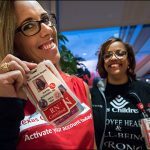 If you have any questions, please contact Employee Health Services at 832-824-2150, option 2. 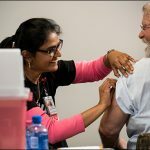 * Baylor College of Medicine employees working in Texas Children’s facilities will continue to complete paper consent forms when they receive the flu vaccine.